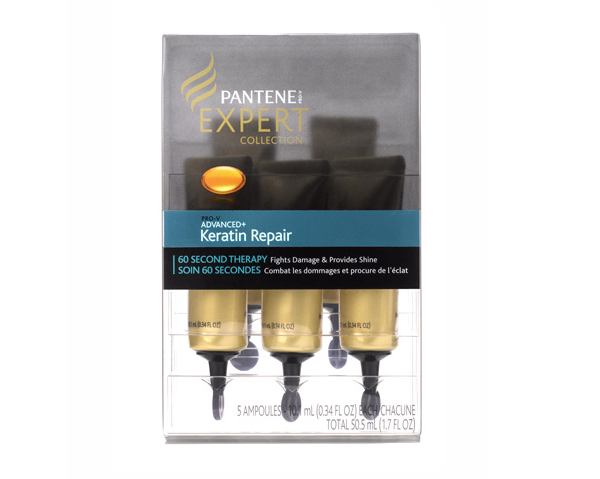 Deep repair and hydration in as much time as it takes to use regular conditioner: that's the premise behind Pantene Pro-V Expert Collection Advanced+ Keratin Repair 60 Second Therapy ($8.99 at London Drugs), a boxed set of five single-dose tubes of product. When used every 2-3 days, Advanced+ Keratin Repair 60 Second Therapy promises to reverse damage and restore moisture and shine in as little as a week. I've only gone through two tubes of the five in my set, but I'm already a fan. 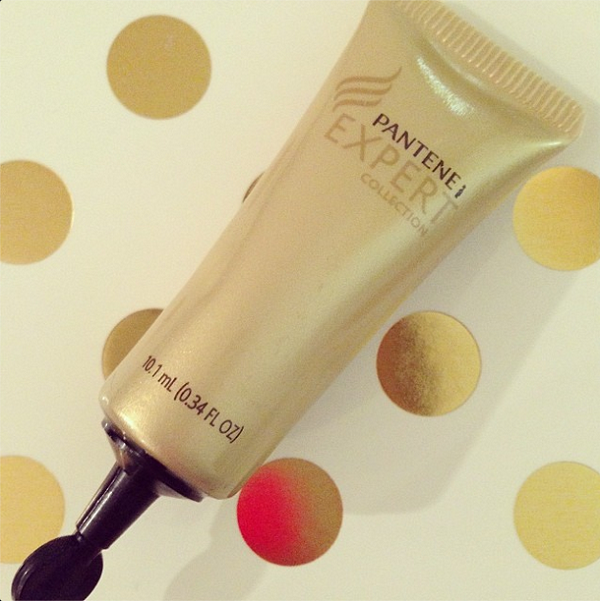 The texture is somewhere between ultra-hydrating conditioner and a hair mask—creamy and thick. And true to its 60-second claim, it really seems to make no difference whether you leave it in for one or ten minutes (as I did during my first time). I like working the formula in from root to tip with a wide-tooth comb. Each dose is just enough for my thick, shoulder-length hair; if you have more hair, you might need to use two at a time. The results are worth it though: my hair was noticeably smoother and softer post-shower. Although Advanced+ Keratin Repair 60 Second Therapy would be ideal for repairing damage caused by heat styling and colouring, I think it makes a great mid-winter enhancement to one's normal haircare routine. After all, between harsh cold air and indoor heating—let alone the polar vortexes you East Coast readers are enduring—a little TLC for parched locks is always nice. Haven't seen this in the states, but will look for it. I would love 'something' to tame my wavy frizz.